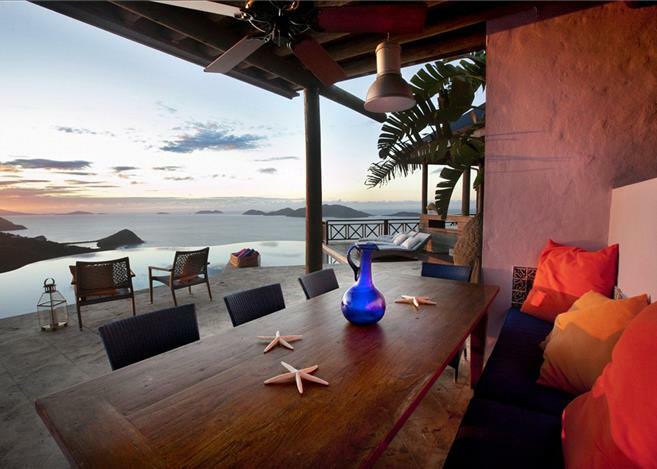 Contemporary Caribbean Villa For Sale – Tortola – Resting on a prime and private 3.739 acre hilltop location, this 6 bedroom 6.5 bathroom villa offers spectacular views of Tortola’s West End and surrounding islands encompassing Jost Van Dyke and St. John and St. Thomas in the USVI. This contemporary villa is infused with Caribbean colours and influences and comprises a main house with open lounge area and fully equipped gourmet kitchen. The entertainment/media room, accessed via a cosy BBQ courtyard is housed in a separate pavilion. Real Estate, Tortola, Villas. Bookmark.